Here, you can find information about the database type, the database version, the current driver, the driver version, the database name, and the user name that is used to access the database. 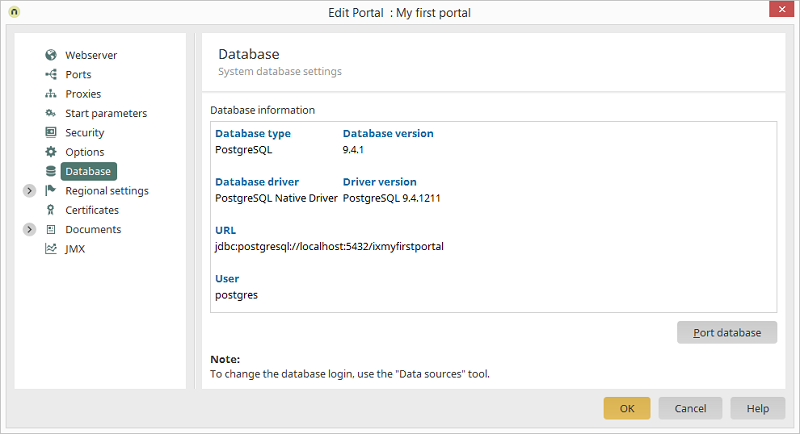 Opens a dialog where the portal database can be changed, such as from a test database to a different database type. The current database will be exported by Intrexx to begin with. Next, the new database will be created and all data transferred to it. After clicking on "OK" after porting, the portal is connected to the newly created database. All entries will be immediately entered to this database.